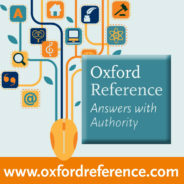 Check a fact, find key, trusted information on a person, concept, or term, or conduct comprehensive research on a specific topic with Oxford Reference, containing over 2 million entries across every subject area. Gibbon was far from being the first historian of Late Antiquity. The Decline and Fall of the Roman Empire could never have been written without the superb scholarly spadework done by English and French scholars in the century before him—men like Henricus Valesius, historiographer to Louis XIV, and Dr. John Fell, Bishop of Oxford and refounder of the Oxford University Press (of “I do not love thee” fame). What was new for Gibbon was the belief in inexorable progress which was at odds with the fact of decline. Three and a half centuries earlier the Renaissance scholar Poggio Bracciolini had sat where Gibbon sat and studied the same prospect. He saw the ruins of Rome, he said, “prostrate and stripped of all its splendour like a gigantic rotted corpse”, but he had no sense that this was unnatural. Jam seges ubi Roma fuit—grain grows where once was Rome. Change and decay were simply indications of the cruelty of Fortune, sad but not remarkable. 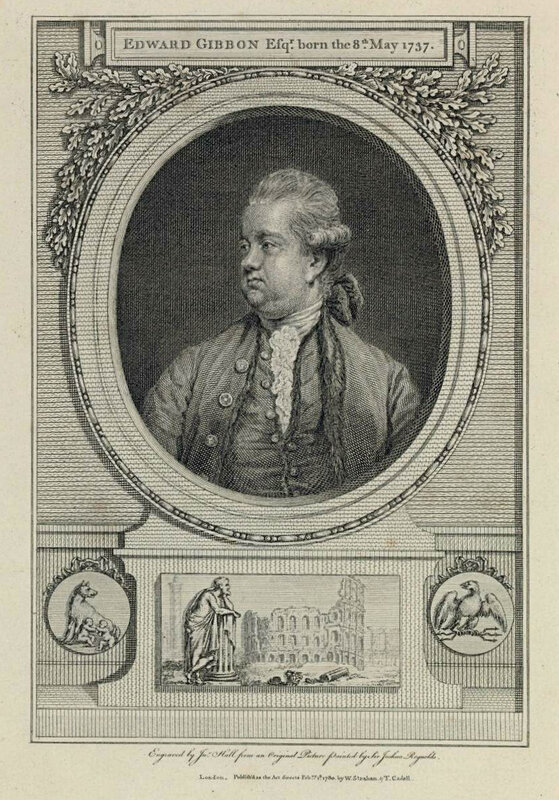 Portrait frontispiece of Edward Gibbon (1737-1794): The History of the Decline and Fall of the Roman Empire. W. Strahan and T. Cadell London 1780. Engraving by J. Hall after a painting by Sir John Reynolds. Public Domain via Wikimedia Commons. The gloomy view of Late Antiquity propounded by Gibbon combined with the pessimism of his predecessors to cast a long shadow. It is, in fact, only since the 1960s that large numbers of anglophone historians have come to expend on Late Antiquity the care and consideration they previously reserved for earlier eras of classical history, for the Glory that was Greece and the Grandeur that was Rome. And—something not visible in earlier eras of classical history—grass grew up between the paving stones of Greco-Roman civilisation; distinctive local cultures flourished in the provinces. Armenia acquired an alphabet and a written literature and also, in the 6th and 7th centuries, compact domed stone churches which are satisfyingly mathematical in their proportions. The uncommon common sense of Egyptian hermits was recorded in stories and sayings, the Apophthegmata Patrum, which still sell well in modern translations. Most striking of all, the Syriac language, the lingua franca of the Fertile Crescent, acquired a distinctive literature. Semitic languages, they say, are like love—the first is the worst—but the beauty of the poetry of S. Ephrem the Syrian shines through the English translations of Sebastian Brock, even for those of us who read no Syriac, while the multifarious learning cultivated from the 6th century onwards in Syriac-speaking Christian monasteries such as Qenneshre on the east bank of the Euphrates formed a vital link between Greek science and philosophy and the Arab thinkers and scholars of 9th century Iraq. Add to all this what was going on beyond the frontiers of the Roman Empire, and a concern with the decline and fall of Roman rule in western Europe begins to seem somewhat parochial. Ethiopia and Ireland emerge into the historical record. Also, there was another whole empire to the east of the Roman frontier, that of Sasanian Persia, whose realms comprised modern Iraq as well as the Iranian plateau and territories to the east. The Rise of Islam swept away the Sasanian dynasty with astonishing rapidity, but understanding Sasanian Iran still helps greatly to elucidate the particular character of that ancient land. Some of the most important events in modern Near Eastern history happened in the 7th century AD. 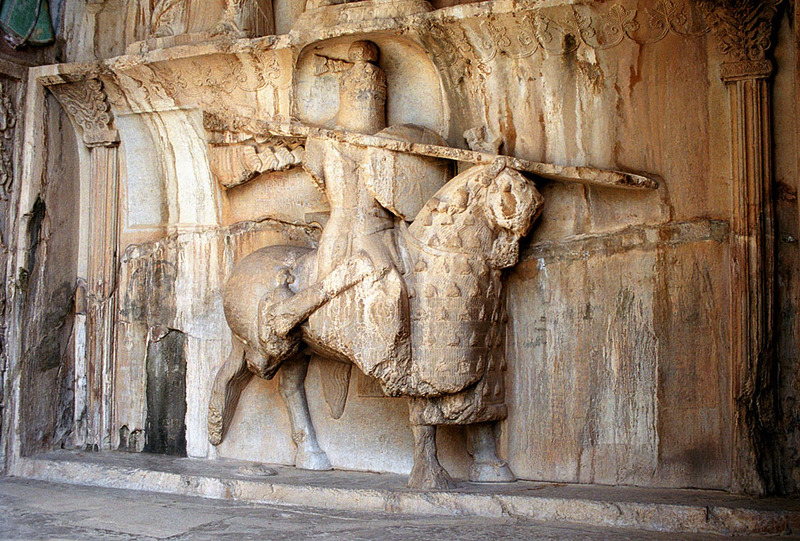 Equestrian statue at Taq-e Bostan, Iran, of Khosro II in parthian armor, one of the oldest depictions of a cataphract, a form of heavy cavalry used by the Sasanid Empire. Philippe Chavin, CC BY 2.5 via Wikimedia Commons. The history of Late Antiquity in fact fails to conform to preconceived patterns of progress and decline. Rather, it displays kaleidoscopic cultural diversity; the rational actor, that callow and colourless character beloved of economists, is difficult to discover. History may be servitude, history may be freedom. Perhaps it teaches nothing except that it teaches nothing—but it does present for our examination people setting about the difficult business of facing up to the forces of Nature, of believing in one God or many, of making the best of being human. In Late Antiquity, they did this in more ways than most. Featured Image credit: Hagia Sophia (Church of the Holy Wisdom) is a former Greek Orthodox patriarchal basilica, later an imperial mosque, and now a museum in Istanbul, Turkey. brewbooks, 2006. CC BY-SA 2.0 via Wikimedia Commons.